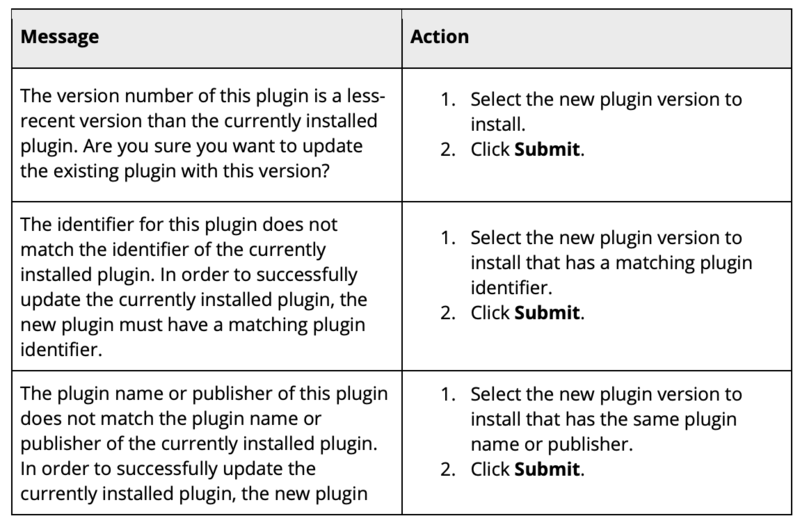 Once you have installed and configured a plugin, you can later update it with a newer version. Updating may be done without having to delete and reinstall the existing plugin. Click the name of the plugin you want to update. The Setup page for the selected plugin appears. Click Update. The Plugin Update page appears. Click Submit. Depending on the file you selected, a message may display.